The student-run group raises funds and awareness year-round to benefit the Child Life Department at the Children's Hospital of Philadelphia. NORTH PHILADELPHIA -- HootaThon is right around the corner, and Temple University is preparing for the 12-hour dance marathon. The student-run group raises funds and awareness year-round to benefit the Child Life Department at the Children's Hospital of Philadelphia. CHOP is part of the Children's Miracle Network Hospitals, which raises funds and awareness for 170 hospitals in North America. The Child Life Department at CHOP provides children with many types of therapies, including art therapy, music therapy, and pet therapy. The department helps patients and their families cope with their illnesses, injuries, and their stay in the hospital. This helps kids enjoy aspects of childhood they might otherwise miss out on while undergoing medical treatment and care. Child Life Services at CHOP was founded in 1951 and "was one of the first programs in the country to recognize the therapeutic value of play for hospitalized children," according to the hospital's website. 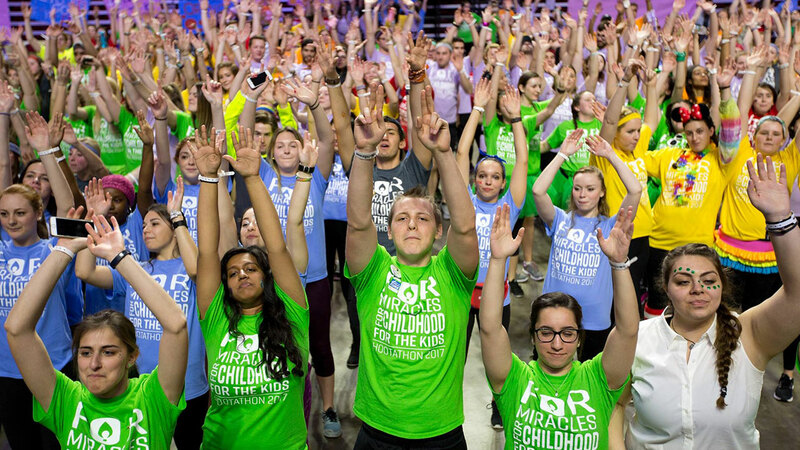 The main HootaThon event, which is set to take place on February 3, 2018, is similar to Penn State's THON. Students at Temple University will dance for 12 consecutive hours "in order to give the gift of childhood to children receiving treatment at CHOP." Temple is just one of the area schools that host dance marathons as part of the Children's Miracle Network. Other local universities involved include the University of Pennsylvania, Drexel University, St. Joseph's University, Lehigh University, Rowan University, and Stockton University. HootaThon was founded in 2012. In its first year, more than 600 students participated and HootaThon raised more than $60,000. This year's goal is to involve 1,000 students and raise $400,000. If you would like to learn more about the organization, visit here: http://www.hootathon.org. During this year's event, the HootaThon team will take over the 6abc Snapchat account. Follow along on Snapchat at @snap6abc.